I am fire, I am eternal life. 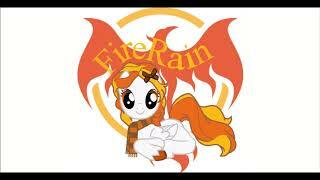 I am FireRain. Many of you will know that I have a black Encore stratocaster that I custom detailed and made my own by naming it Atomic Six, and you may also know from previous blogs in the past that I've been working on restoring it. Well, roughly two weeks ago, I finally set out to fix the issue by entirely removing the stock electrical system and replacing it with a fresh, new set, a fully-loaded scratchplate with new pickups and the like. I knew it was only a matter of time. She's dead, Cap'n. My laptop died last night. I'm not very happy. I was right in the middle of some pretty important work and the keyboard got completely knackered so all the circuits in the keys don't work correctly. How to define cute / adorable - Here, here's a mirror. I know you may worry about your life, and it is natural to feel that way about literally any form of problem or issue you might have, but I'm here to tell you that all is going to be fine in the end. You may not believe it to be true, but it is. All my life, I have done nothing but obsess over films and fantasizing about becoming a film director. Of course, it comes secondary to my writing career, which I'm still massively focused on, but there is something so satisfying and magical about working on the set of a film or on the stage in a theatre. Because of my home situation and some other bothersome issues plaguing me no matter where I go, I made this video as an announcement / notification for you (the viewers) concerning certain delays for my YouTube channel. Regrettably, of course.